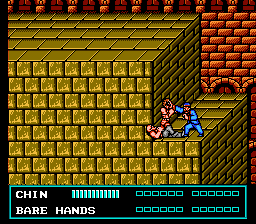 NES Double Dragon III: The Sacred Stones (USA) in 10:03.77 by xipo. In this movie, the author speeds through the game, beating up all the bad guys quickly and efficiently, making full use of each character — and killing them off when they are no longer useful. The characters' special abilities are abused to provide some unorthodox shortcuts. This is the author's 4th version and is an improvement of about 6.46 seconds over his previous movie.